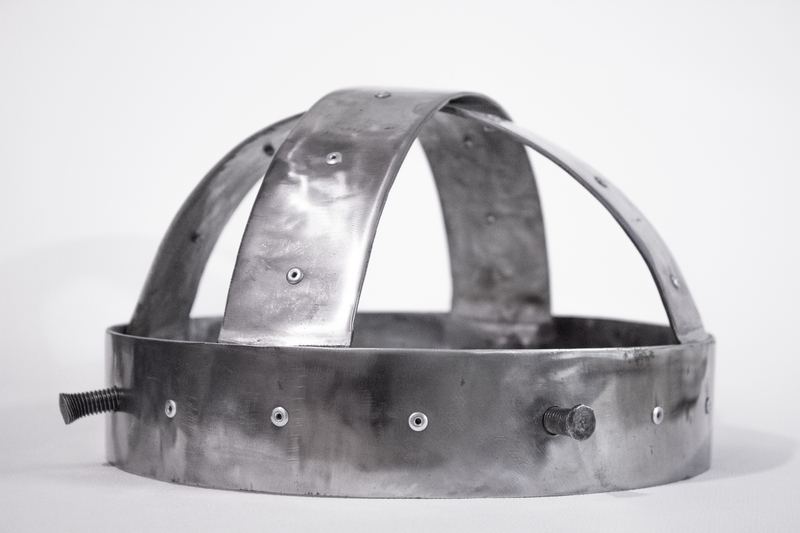 Gamma Knife a steel, riveted medical crown which can be worn. It was created to be one and a half inches larger than my own head. The four functional screws were fashioned to twist through the crown and into the skull of the person who wears it. The surgery called “gamma knife” is when high energy gamma radiation, penetrates deep within the brain to destroy nerve(s) or tumors. 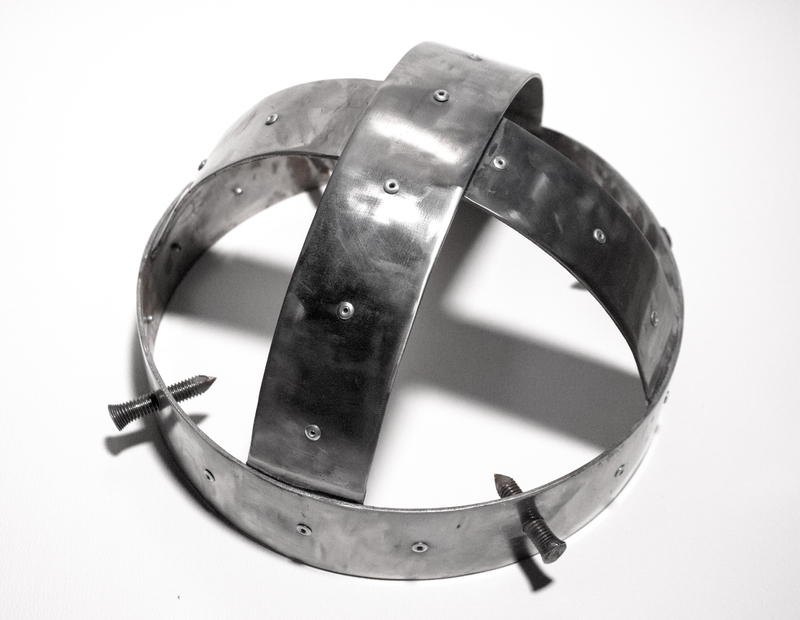 This brutal biotechnological apparatus is similar to the actual head piece worn for the surgery.